5)	Local Governments (e.g. Tambol Administration Organizations). GGP mainly targets areas that aim to improve Basic Human Needs (BHN) such as projects that are highly beneficial at the grass-roots level and those that require timely support on humanitarian grounds. Typical projects include improvement of basic education facilities, improvement of fundamental medical equipment for hospitals. 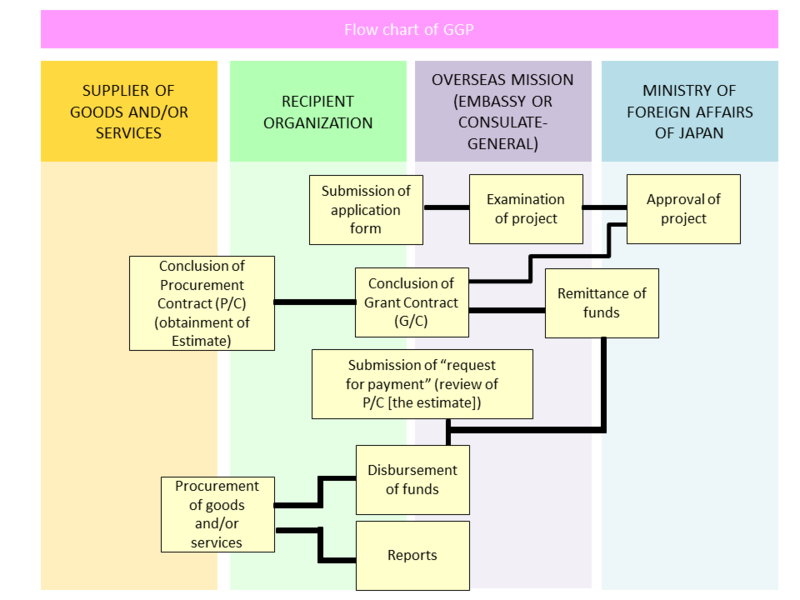 *CSR (Corporate Social Responsibility) or BOP (Base of Pyramid) projects in collaboration with Japanese companies can be supported by GGP. － Taxes and levies, maintenance costs, registration fees, etc. required in relation to equipment provided. [N.B.] 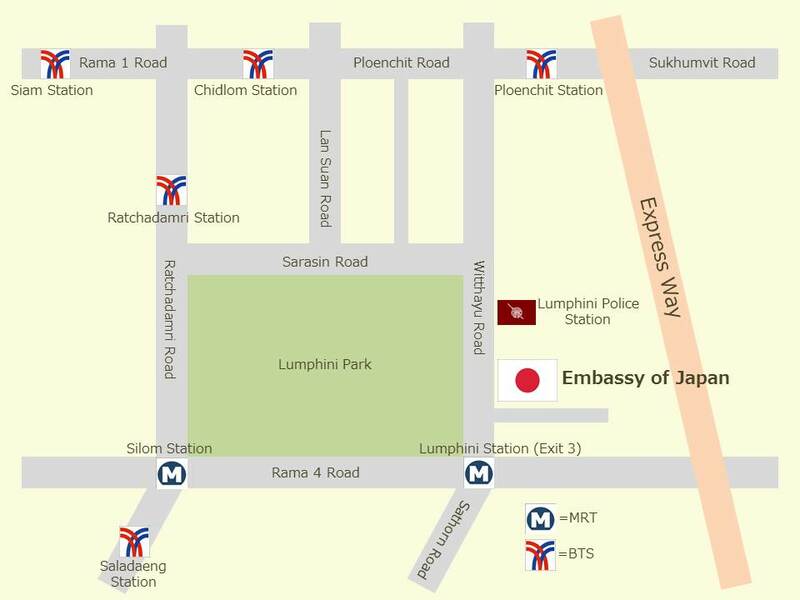 The Embassy of Japan in Bangkok is responsible for all provinces except the 9 Northern provinces listed above. For the 9 provinces, please contact the Consulate-General of Japan in Chiang Mai. If you plan to implement a project covering more than one province, please contact us. It may be covered by either the Embassy or the Consulate-General. [Notice] If there are some changes on the guideline, we will upload them on our web-site. Remarks:Japanese Financial Year starts at April and ends at March.